no, not even the latest Campagolo Record. 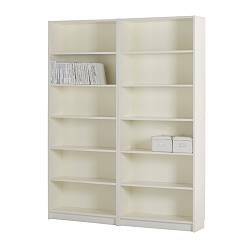 My number one design icon is the billy bookcase from IKEA. Billy even manages to provide amusement. I bought another 4 yesterday, and I noticed that they had halved the width of the packaging by making the backboard crease vertically rather than horizontally. Clever,as they are much easier to carry for the store staff and easier to load into the car. It meant I bought one more than I’d planned to. We have about 11 15 billy bookcases at home. Unfortunately IKEA don’t sell extra walls, at least at my shop. pity. IKEA run SAP for HR via the ADP Globalview offering, and a couple of weeks ago I spoke to Albert Martens, HR Director at IKEA. In passing, after discussing HR systems, I mentioned that I’d like to see a shallower version of the Billy, optimised for paperbacks. He opened up the customer request system while I was on the phone and entered it there and then. Building direct customer feedback to the designer is not only good for product development. It is a remarkably effective way of building customer engagement. I firmly believe that SAP’s strongest competitive advantage is our customers and partners, but only if we listen to them. At the risk of repeating myself, start ups have to guess what to build. We just have to ask. This is what we mean by co-innovation, but this is only the beginning. A design classic. 1927 and software? On friday I got to visit the Weissenhofsiedlung in Stuttgart. It was built in the late 1920’s, opening in 1927. 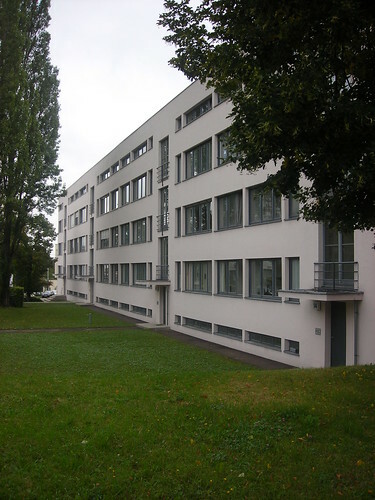 The architects involved were Ludwig Mies van der Rohe, Jacobus Johannes Pieter Oud, Victor Bourgeois, Adolf Gustav Schneck, Le Corbusier and Pierre Jeanneret, Walter Gropius, Ludwig Hilberseimer, Bruno and Max Taut, Hans Poelzig, Richard Döcker, Adolf Rading, Josef Frank, Mart Stam, Peter Behrens and Hans Scharoun. Le Corbusier and his fellow architects aimed to strip down the house to its simpliest form. There is beauty in the stark, simple lines of the buildings. Their goals were to create cheaper, healthier, more practical and liveable spaces. 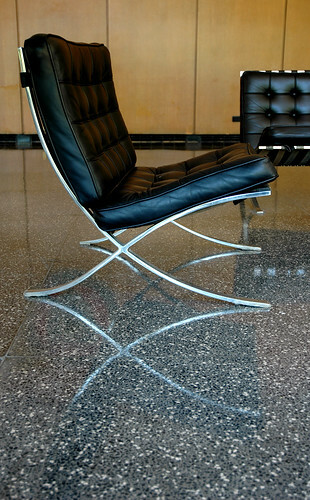 This is Ludwig Mies van der Rohe’s apartment block. Luckily the development has been saved after it was condemned to destruction by the nazis, bombed by the allies and then neglected. It is an astounding spot, and it showcases some many of the innovations that we take for granted in homes today. The buildings are by no means perfect, and sometimes the gap between the vision and the engineering and technical reality were too great to bridge. The tension between design and engineering is palpable. I wasn’t expecting to be awed, but I was. The tour was excellent, both for the architecture and the history. 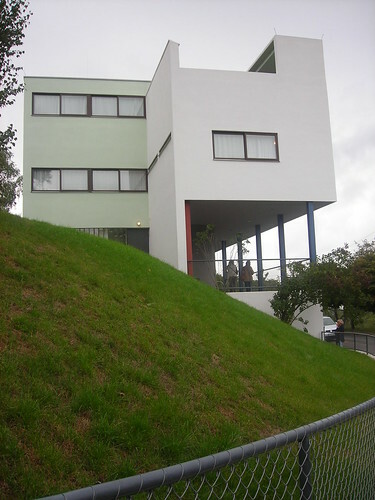 Le Corbusier house. It looks as if it was built yesterday, not in 1927. You can go inside. The visit to the mercedes museum and the Weissenhofstiedlung made me think a lot about software. Both the 300SL and many of the bauhaus buildings depend on a excellent chassis to function effectively. Without a stable platform, nothing really works. The separation of the chassis from the body enabled Benz and co to make huge leaps foward in strength, shape, handling, cost and weight reduction in the car. The same point could be made about the use of a load bearing frame in buildings, with the walls etc merely acting as a skin. This dramatically expanded the realms of possibility, both for interior space and external volume. The same argument can be applied to the need to split data, process and visualisation in software application design. It also made me think back to a post I wrote in defence of concrete. Good software is partly about achieving a balance between design and engineering, with design helping to push engineering forward, and vice versa. At its core, the Bauhaus movement is about “art and technology – a new unity”. Weissenhof is a pretty good place to go and think about software. Oh, and I need to read a bit more. And next time I’m in Berlin, I’ll need to go here. Enterprise software can learn a lot from Bauhaus. Thanks to my colleagues for organising the trip, and to my brother for a quick Bauhaus recap and indoctrination. Author Thomas OtterPosted on September 10, 2007 Categories art, life in general, software1 Comment on A design classic. 1927 and software? I’m going to play this really really really loudly when I get home. My Berlin infatuation continues. 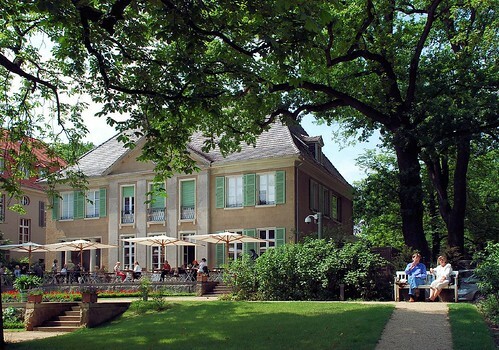 Last weekend I went to Max Liebermann’s villa on the Wannsee. It is a spectacular setting. 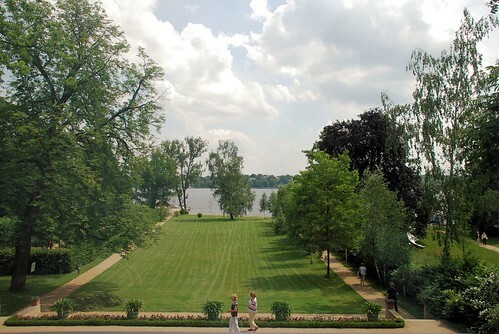 The lake is just a few kilometers from the centre of Berlin, but it feels like you are in the country. His art is equally memorable. Max Liebermann’s life and the Wannsee itself provide a poignant illustration of the highs and lows of German culture and politics. I’m not an art expert, but there is something rather special about this painting. It makes me want to go and find a bench to sit on, and read about the Berlin Succession. You can buy books and prints etc in the on-line shop, and the museum is a must see.